Each and every online store wants to enhance traffic and conversions. But even after the business owners have put together a basic strategy it can still be challenging to decide on which marketing tactics they should try. Sometimes merchants even take external help from the agencies such as digital marketing agency California. They teach them how to bring in traffic to their site, develop trust with customers. Holistic E-commerce marketing strategy consists of marketing tactics both on and off from the website. A sound marketing strategy help the businesses to build brand awareness, drive customer loyalty, and ultimately increase online sales. They can use e-commerce marketing to promote their online store as a whole or to drive more sales for specific products. Every business is unique. Knowing how customers align with the sales process can be helpful so that business owners can create the best e-commerce marketing strategies possible.If the merchants are unaware about how long it takes a customer to complete their sales cycle it will be difficult to pinpoint which platforms they should be advertising on and when they should be aggressively retargeting or sending emails. Defining the sales cycle will require some research as well as testing. Once the merchants have well-defined strategies they can move on to their next e-commerce marketing strategies. By optimizing checkout process merchants can decrease cart abandonment. This is the most important e-commerce marketing strategies that are sometimes ignored by the businesses. 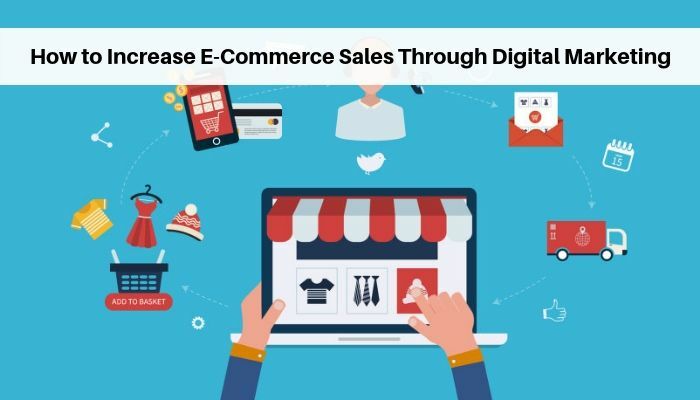 Right from start to finish, if the checkout process is smooth and trustworthy, business owners will increase conversion rates and decrease cart abandonment. Provide a size guide, if a business is about selling any type of clothing or accessory. It will not only help customers but it will cut back on returns for the business. They can also include customer reviews or testimonials as well. A separate page dedicated to frequently asked questions should also be there. This can also be beneficial to a company’s SEO if they write quality descriptions that include keywords. Brush up on what SEO is and how it works before company directly dives in. With millions of daily active users, social media is one of the fastest growing selling platforms around, connecting consumers, influencers, and brands. If the company is taking compelling photos, use hashtags strategically, and post at the right times then the company is well on the way to building a large following of people who are interested in the product. The key to mastering the organic social media presence is the engagement with followers. To start the Email marketing campaign, actively promote newsletter, blog and any other email capture efforts to get as many subscribers as they can. People are still inclusive about messages received in their personal inboxes versus their social feeds. Additionally, email gives the space to say things that cannot fit into a social media post. As it is not enough to just capture a bunch of email addresses. Merchants need to send regular, valuable emails for the channel to be an effective e-commerce marketing activity. When it comes to figuring out which e-commerce marketing strategies work best for the business, owners can get creative and can also take help from the digital marketing agency. Above strategies will help the business to grow their e-commerce sales and eventually grow their business to full potential.